Well it was bound to happen sooner or later! I had to try combining punch needle embroidery and felt! I’ve been practicing my punch needle skills, working to get my stitches even, experimenting with different yarns. While it’s a pretty easy craft to pick up, I feel like it does take some trial and error to get things to look just how I want them to. I punched my designs onto monks cloth with bulky roving style yarn, using the size 9 regular oxford punch. I wanted to try something straight forward and small scale, like a set of coasters. I had some nice 3mm thick wool felt in my stash that made the perfect border and backing for these coasters. Very rug like! Maybe more “mug rug” than coaster. 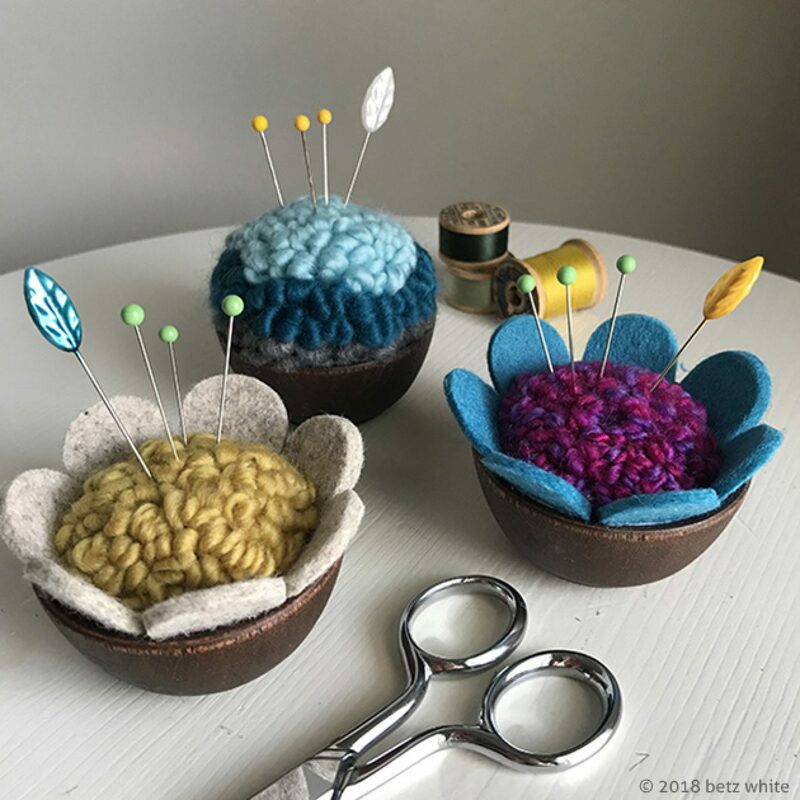 I also thought it would be fun to whip up some cute little pincushions. I made the little “shrub” style in the back first. But you know when there’s felt scraps around crazy things happen! Petals! I love the extra dimension and texture variation when combining the punched yarn and the wool felt. CUTE! 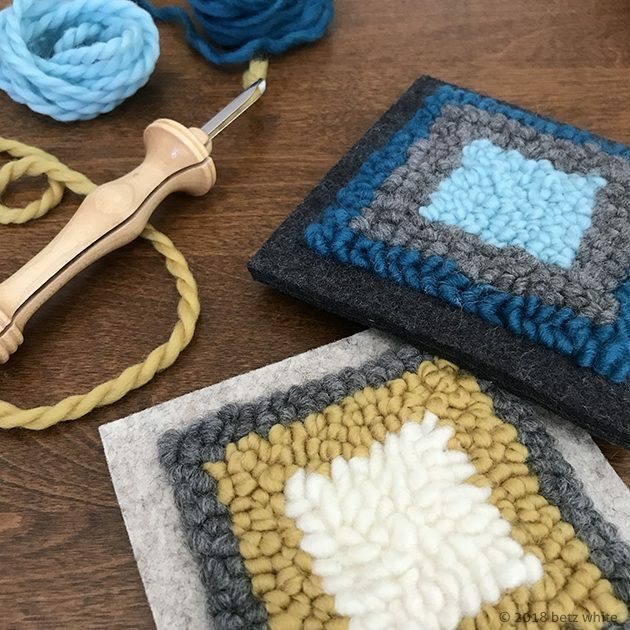 I’ve applied to a couple of local holiday craft fairs and prototyped these as potential items to sell, alongside my knit throws and accessories. Fingers crossed I get accepted! Meanwhile, stay tuned for more ideas and perhaps a limited edition collection of woolly cuteness! It feels so good to MAKE stuff. What have you made lately?